The Trinamool Congress has raised the tempo of its poll campaign with an over two-minute-long music video that depicts a peaceful and harmonious Bengal unaffected by the supposed chaos outside its borders. 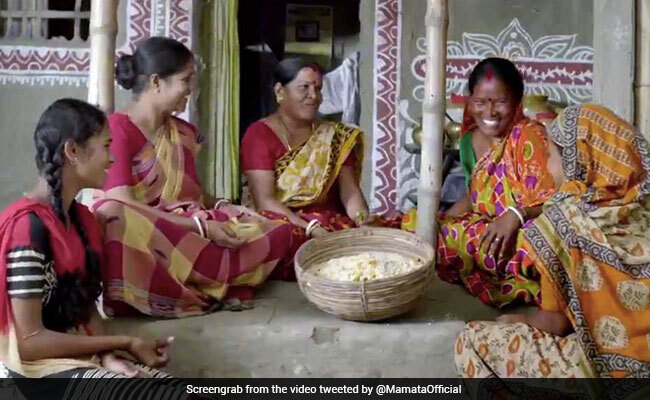 The Trinamool Congress praised state-sponsored schemes for women in the music video. Ma, Mati, Manush, goes the refrain. With just a few days to go for the Lok Sabha elections, the Trinamool Congress has raised the tempo of its poll campaign with an over two-minute-long music video that depicts a peaceful and harmonious Bengal unaffected by the supposed chaos outside its borders. Party chief and Bengal Chief Minister Mamata Banerjee has posted the clip on all her social media accounts. 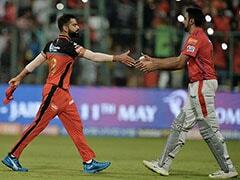 The video takes a dig at the Narendra Modi government by claiming that it has not been able to fulfil its promises, while portraying state-sponsored schemes for farmers and women - such as 'Kanya Sree' and 'Sabuth Saathi' - in a pleasant light. Its title, Ma Mati Manush (literally translating to Mother, Motherland and People), is a Bengali political slogan coined by Ms Banerjee herself. The music video, however, is not the first media campaign undertaken by the Trinamool Congress in the run-up to the Lok Sabha elections. Last week, it had launched a web series called Pradhan Mantri Hisab Do, which compared various welfare schemes of the Narendra Modi government with those launched by the Trinamool Congress in the state. The first episode of the web series began with a short film comparing the state government's 'Sabooj Sathi' scheme with the centre's 'Beti Bachao Beti Padhao' programme. The state government scheme, launched in September 2015, involved the distribution of free bicycles to 40 lakh students from Class 9 to Class 12 across Bengal. Earlier, the Trinamool Congress had objected to Asansol BJP candidate Babul Supriyo releasing a song critical of the ruling party. Mr Supriyo - a former Bollywood singer - withdrew it after the Election Commission issued a showcause notice. West Bengal's 42 Lok Sabha seats will go to the polls in seven phases, starting April 11, and the votes will be counted on May 23.